I love to say "fair dinkum". I have grown up in Townsville and lived here all my life apart from 6 months when I moved to Melbourne to take part in Missions. I love to push the limits of electrical appliances and feel most things can be fixed with superglue (both of these traits my husband has an issue with). I love to make up words. I love to use my made up words. I am shocking at all things grammar, but really good at seeing the best in people. I look for things to be grateful for everyday. I appreciate every hug my teenage sons give me and relish that my daughter is only 6. I adore my husband and am beyond grateful that God could have us find each other. I like to think I bring the fun and excitement to life. I lack co-ordination...but not enthusiasm. I love board games and you want to make sure you are on my team. I am funnier than my husband and secretly he knows it. I am forever grateful that I get to photography your moments. If you want to learn what someone fears losing, watch what they photograph. Katie provided our little family with exceptional photos that warm our hearts and produce beaming smiles each time we view them. Katie exudes warmth and compassion and made us feel so very relaxed on our family portrait adventure. Her level of professionalism is first class, combined with an incredible ability to connect with her audience. Katie photographed my family just the way that I see them. Not only did she capture the connections between us- the giggles and love, but her artistry told a story that captured time, place and a moment in our lives. Katie’s excellence in what-she-does not only shows in how she photographs people but also in how she understands people. My stiff, sometimes awkward family instantly felt at ease as she worked her magic. We love you Katie! During the course of October 2017 we asked Katie to take photos of us as a family. Katie approached the project by first discussing the different personas in the family with me – what everyone liked etc. thus getting a better understanding of how to capture the individuals as well as the family interaction. We are not “naturals” when it comes to being photographed, but Katie made us feel at ease and was able to capture beautiful moments. The finished product was of high quality and surpassed our expectations. Katie can be highly recommended. Our family had the most delightful couple of hours with Katie who managed to capture all of our children’s personalities (and the family cats) in a natural, unprompted manner. Katie’s patience and serene manner were legendary especially when dealing with our family of 7 which consists of 2 parents, 1 ballerina, 4 mischievous boys and 2 spoilt cats. We are looking forward to seeing her for many years to come (hopefully she is too). I could probably fill a novel with kind words about Katie. I have never met someone who loves and cares about people as much and as genuinely as Kate. Her enthusiasm is contagious and she has this beautiful manner of making you feel instantly seen, loved and comfortable. Words aren’t really adequate in describing the gift that is Katie and the photographs she takes - she doesn’t just see life in the most beautiful way, she also captures that beauty. She captures people at their realest self, as well as the little moments and details that you don’t even think of as moments. I am so utterly grateful for the incredibly special memories Katie has documented for me - especially the everyday stuff with my son, that won’t always be everyday. Katie’s photos are always such a glorious gift for my heart. Katie Zamykal captured beautiful relaxed, happy and natural photos of my family recently. Katie has a personality that brings out the best in people regardless of their age. Katie listened to my request to have some photos taken with Castle Hill in the background as this was meaningful to our family. I really liked Katie’s suggestion to have some photos of what typically portrays the person. My elderly Mother really likes her special bone china tea sets and so Katie took some wonderful photos of Grandmother, Mother and granddaughter enjoying a morning tea using the tea set and a beautifully set table. Katie develops the photos into groups to tell a story. 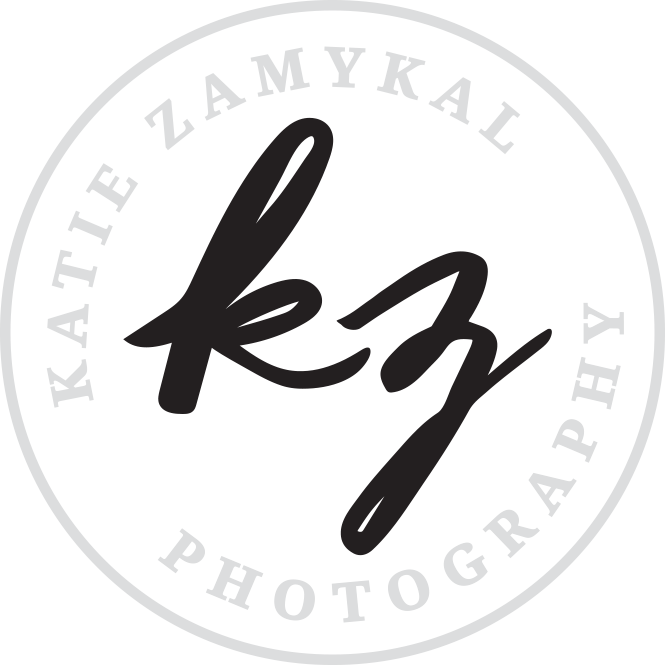 Katie is so passionate about her work and helps you select your photos with ease . Katie presents you with a finished product of a high quality . We had such a lovely morning with Katie taking our family photos. It is so obvious Katie has an absolute passion for what family means and she has such an eye for the little details (the dimples around children's knuckles, life gets too busy and we miss those little things). Our boys were more than happy to have Katie hang out with them and be able to show her what they love to do, she has a real knack for making even the shy ones feel comfortable. And of course, the actual photos at the end of it all were beautiful - a few traditional family photos to be able to share with the grandparents but then so so many gorgeous little informal moments captured as well. Katie makes us look good! We are not a very photogenic family. Sometimes some of us are not even very cooperative for the camera. Photographing children can be difficult at the best of times but Katie has a beautiful way of making everyone feel comfortable. Our kids adored her and just seemed to lap up any attention she gave them. She also has a clever ability of capturing those natural, candid moments without us noticing that she was even snapping us! Katie delights in life and loves capturing the precious, and ordinary everyday moments. Thanks to Katie, we have the some very precious family moments captured in beautiful photos. I’m sure any photographer could take a nice photo. But Katie, honestly, she’s got this incredible ability to capture the unrehearsed life, a face and everything behind it, the perfectly composed, yet completely relaxed portrait. Katie is more of an artist than any artist I’ve met. She knows how to photograph beauty even when her subject isn’t so idealistically beautiful. Photography is so clearly Katie’s passion. One of my favourite pictures taken by Katie is of my family sprinting home between the mango trees in the rain. It wasn’t planned and that’s what made it perfect. The thing with Katie is that she captures a story; a memory in real life instead of the ever-popular formation of 2D grins. And that’s just her talent. Katie is one of the most hilarious people I’ve met. When Katie wakes up the sun flees from behind the clouds. She brings out the best in people, and that in combination with her immense talent makes her a brand like no other. Kate has an eagle eye and is a fantastic photographer! Katie has a talent and she is sharing it with us all. Katie has honed her photography skills over the decades (oops) and she recently ‘brought out the camera’ to do a family photo shoot. She has somehow managed to make our middle child look like an angel, literally, as she captured a burst of sunlight as a halo around my daughter as she simply played in the garden. Anyone with a middle child would know there ain’t always a halo! Katie’s photographs above everything else reflect who she is, passionate and caring of others with a burning desire for everyone to be loved and she is a person who squeezes the utmost out life. Oh and boy can she hide those wrinkles and help a girl loose 10 kilos in a photo! I would thoroughly recommend Katie as a photographer, you simply must let her find your halo too.